Last week, I read the book Overachievers: The Secret Lives of Driven Kids by Alexandra Robbins. The author follows eight high schoolers over a course of a few weeks and tells the story of their achievements, struggles, aspirations, and more. These kids, belonging to a high performing school in Maryland, struggle to cope with the stress of school, homework, extracurricular activities, and peer and parental pressure, primarily to build a resume that would help them get into prestigious universities. It’s a sad commentary on the state of our education system and the hypercompetitive admissions process that overemphasizes the SAT scores, GPAs, and the amount of extracurricular activities. We can’t really blame the universities because there has to be some mechanism for selecting incoming students. Many people blame the US News college rankings for this mad rush to get into a top-ranked college without realizing that it might not be the best fit for a kid. I understand this struggle because I’ve been part of a similar experience in India. India has a system of entrance exams whrein the kids’ physics, chemistry, biology, and math skills are tested. Any extra-curricular activities are not taken into account that leads to engineers and doctors who are brilliant but not innovators or sportspersons or community servers. There are many kids driven by an immense desire to succeed in every field and eventually burn out. They sacrifice their childhood to get accepted to a selective university. Research has shown that a large majority is depressed and many attempt suicide. Even if they succeed, they are not happy. Because achievement doesn’t always correlate to happiness. Stanford School of Education professor and psychologist, William Damon says today’s young people miss a sense of purpose, a feeling of meaningful existence that should be our main concern (full report here: Getting Off The Treadmill). I don’t know how to make my kids’ lives meaningful without getting into this race, but I’ll be thinking about it. A lot. Digital books, or ebooks, have been in business for more than a decade. First, in 1990s, it was pdf files or static html pages. A few years later, a lot of interactivity was added in the form of multiple-choice questions or navigation buttons. With the advent of broadband, videos and multimedia elements (mostly flash animations and flash videos) found their way into ebooks, making them engaging and more interactive. In the last 3-4 years, the ebooks are getting more and more social, with features to communicate and share with friends and instructors in real time. The latest trend is ebooks on iPads (and other tablets) developed by hot startups such as Inkling and Kno. There is no doubt that the digital format is better than print in many respects. A print book cannot embed multimedia elements, cannot have interactivities, cannot give feedback, and cannot bring the current events to the users. And digital is cheaper than print with almost zero marginal cost of production. These reasons make the ebooks very attractive to everyone, both from learning effectiveness and cost savings standpoint. On Amazon.com, the sale of ebooks is increasing every year compared to print books. You can spill water, coffee, or soda on a book and still wipe it clean (with some or no damage) :). Reading on a computer screen is inconvenient and strains the eye. E-ink displays are as good as books, but they are good only for text-heavy books and do not render color or images well. Color e-ink displays exist but have not been commercialized. Reading on a computer screen slows you down. iPad is too big and heavy to hold in one hand. Smaller tablets such as Samsung Galaxy Tab, Kindle Fire, and Nook Color are light but the 7″ screen is not fit for all books. You can throw a book on the couch and never have to charge it. Books help you focus on reading, and not tempt you to check email, play games, or waste time on facebook. You can instantly start reading and not wait for the device to wake up. You can display the books on a bookshelf and show your literary taste to the world. For older kids, ebooks offer an excellent learning solution when they are motivated to learn and do their homework. I prefer my kids read books, at least the first few years of childhood, and understand the joy of holding, touching, and feeling a book. I’m hoping this develops a love of books in them. An ebook, on the other hand, is just like another app on a tablet. Is The Concept Of Learning Styles Really “Nonsense”? “Nonsense” – this is what Baroness Greenfield, the director of the Royal Institute and a professor of pharmacology at Oxford University, has to say about learning styles. There are numerous theories on children’s learning styles. Some say there are more than 70 different learning styles, the most popular (and controversial) being the VAK (Visual, Auditory, Kinesthetic). A very popular notion is that some children learn visually. They learn more and faster if they are presented information in a visual way, for example, images, charts, and videos. Some students are auditory learners, that is, they learn most effectively if they listen to information. The third type of children are kinesthetic learners and learn by touching and doing things. It all sounds pretty reasonable and plausible. Some children do have a better visual memory than others who might prefer to play with physical models while some other kids prefer reading books. So what’s nonsense about the VAK theory? 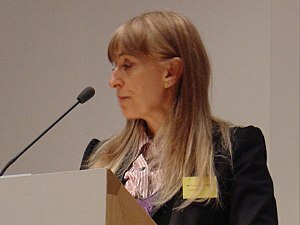 Many researchers have conducted research and argued that there is no such thing as VAK learners. People learn things the best way based on the kind of content they are learning. In geography, they have to see a map to understand the location and shape of countries, they have to listen to pronunciation to understand the nuances of languages, and they have to ride a bike to learn biking. I have long believed that the VAK theory is nonsense. I have not once seen someone design or myself designed a learning product while taking into account the different learning styles. Why doesn’t anyone care about the learning styles if it has such a profound effect on our children’s learning and future? Because you can’t. A technology-based learning product is designed with the best possible way to help children learn. A good product uses sound instructional design principles, learning theories, and user interface design. A great product even takes into account the users’ behavior. It’s unfortunate that many people believe strongly that children have different learning styles though they don’t understand the implications themselves. Dr. Howard Gardner, a professor of psychology at Harvard University, had in 1999 proposed the theory of multiple intelligences. It was a controversial but highly popular theory at that time though it never found a real application. But the theory does make sense. The VAK theory, however, doesn’t. And that’s why Baroness Greenfield calls it nonsense. In June 2009, I’d learned about the new secretary of education in Obama administration, Arne Duncan, when he’d said that children need to spend more time at school. I’d written about my views on his proposal “Does the Length of a School Year Help Increase Competitiveness?” I was opposed to increasing the length of the school day though I supported increasing the length of the school year. 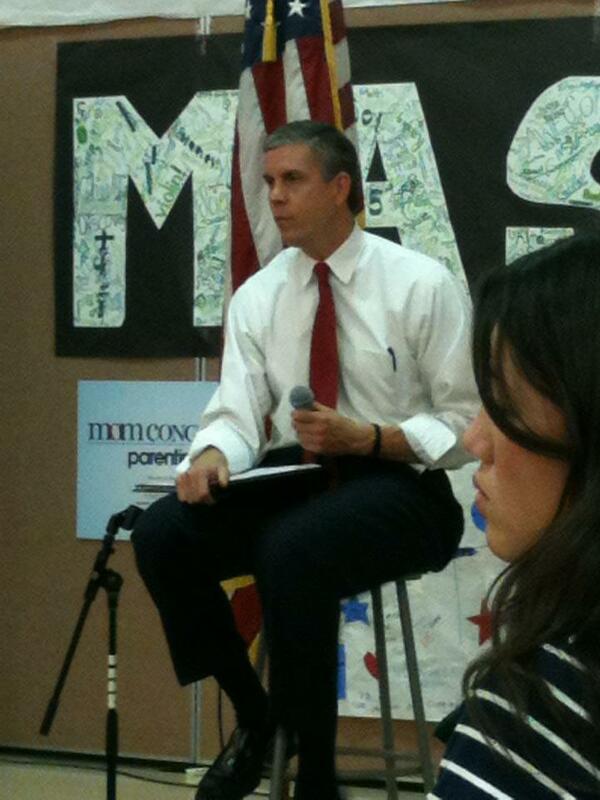 Two and a half years later, I got a chance to attend a town hall with the secretary of education at the Mason Intermediate School on November 9, 2011. He talked with students and parents about what ails the US education system and how he is planning to address some of the issues. I was amazed by the depth of his knowledge of the education system, which, of course, you’d expect from the highest ranking official in education in the country. Countries like India and China are out-educating us and out-competing us. We need to overhaul our education system to remain competitive in future. We have invested a lot of money in the last three years in education. We are dropping lower on reading and science and math tests compared with other developed countries such as Singapore and Norway. In other countries, the teaching profession is the choice of the top third of a graduating class whereas in the US, it’s usually people at the bottom. We provided three meals a day to many children in Chicago to make sure they focus of studies. It’s hard to pay attention when you’re hungry. The federal grant is only about 10-15% of a school’s budget. About 70% comes from the state and 15-20% from the city. When there is a budget shortfall, the extracurricular activities are cut first. But these activities are the reason many children come to school. To lower the dropout rates, we have to keep them engaged. The No Child Left Behind Act of 2002, passed in George W. Bush’s term, is having a negative impact on schools. The schools are being forced to improve the results on standardized tests and lower the dropout rates. This has forced the schools to lower their testing standards and adopt dubious practices to make them look good. We need to hire and retain good teachers. Many good teachers leave the profession because they get frustrated with the system. There are more English-learning students in China than English-speaking people in the US. Other countries are graduating more students from college than the US. We need to send more students from schools to college, whether it’s a four-year college or a two-year vocational college. Blamestorm – I learned this word (it’s actually a dictionary word!) today in an article I was reading on why brainstorming doesn’t work in organizations. In the article “Why brainstorming doesn’t work“, the Washington Post journalist argues that brainstorming generally doesn’t yield expected results because people have a misconception of how it works. A large group is gathered and asked to present, brainstorm, and come up with creative ideas. Unfortunately, it doesn’t work that way, and I have seen it plenty of times to believe it’s true. It has also been proved by recent research. Why brainstorming in the traditional sense doesn’t work? Because people fixate on others’ ideas. They focus too much on what others are saying, they are led in a particular direction by the most vocal members, and they are scared of presenting radical ideas. We are social in nature. We prefer to be in groups where we belong, and we don’t want to do anything that goes against the majority. In his excellent book “The Wisdom of Crowds“, James Suroweicki argues that diversity and independence are very important for a group to come up with wise decisions. Tom Kelly of IDEO, in his book, “The Art of Innovation” (one of the best books I’ve ever read) , has also written about the prerequisite of having a diverse group for generating innovative ideas. So what works? One, have a small group of people with diverse educational backgrounds, work and life experiences, areas of expertise, cultures, etc. because they bring a unique perspective to the table. And two, give them freedom and let them work independently, generate multiple, diverse, radical ideas, and then bring everyone together to brainstorm and build on each others’ ideas. However, most of the times, the opposite happens. A large group meets to brainstorm. Some people dominate, in order of corporate hierarchy, and the focus is on building consensus instead of encouraging dissension and lateral thinking. But this is not the only way brainstorming works. A wide body of research proves that brainstorming can work if there is a trained facilitator to guide the session, enforce some ground rules, and elicit ideas from the participants. “Trained” is the key word here.